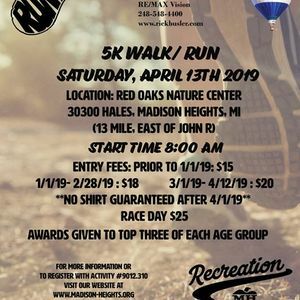 The City of Madison Heights is hosting the annual "Run for the Health of It" 5K/Walk. 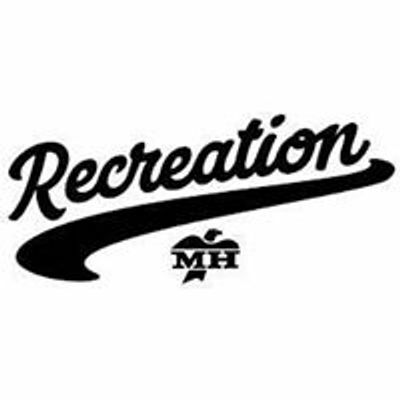 This race is for runners and walkers of all ages, skills and abilities. The race will start and end at the Nature Center at Friendship Woods and cross the Red Oaks Golf Course. 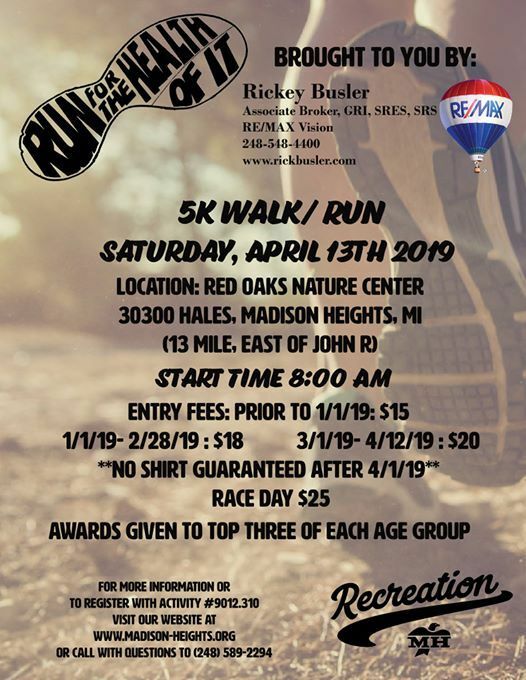 5K Run awards will go to the top three finishers in the both the male and female categories. The 5K Run/Walk will start at 8:00 am. This Event will be held regardless of weather. No Refunds or Transfers. Shirts are not guaranteed to late registrants. Awards will take place at approximately 9:15 am. Awards are given to registered runners - must be present to win.